Mumbai Smiles Foundation began its journey in 2005 with a simple dream to support underprivileged children in Mumbai with adequate nutrition, quality education, and basic health needs. 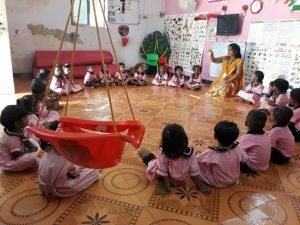 Over the years, we have built a network of preschool centres across Mumbai for early childhood care and development. 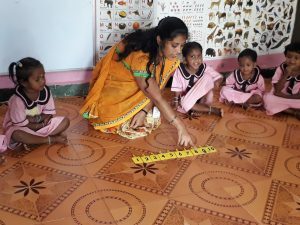 One such preschool centre in Mumbai’s Aarey Colony at Saibangoda has brought about incredible changes in the lives of tribal parents and their children. In a community where children commonly suffered from malnutrition and illnesses, children now eat nutritious food and follow healthy habits. They are punctual, disciplined, and eagerly attend preschool every day. Parents actively participate in their child’s progress, monitor their child’s weight and health, and engage with teachers to improve their child’s performance. Parents regularly tend to their child’s needs and are extremely happy seeing their children grow into healthy individuals. Our biggest achievement – children look forward to visiting our preschool during holidays as well!